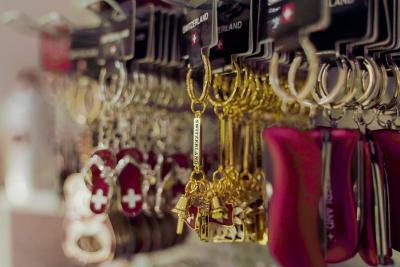 Lock in a great price for City Hostel Geneva – rated 8.3 by recent guests! Location and excellent value for the price!! Wonderful!! 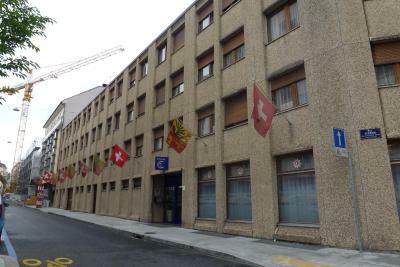 Location was very good, within walking distance from Geneva Station and the lake. This is probably the best price you can get for this severely overpriced city, especially within the city center. 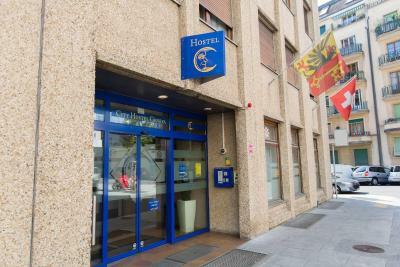 The hostel has a very convenient location, directly in the city center, in proximity to all important public transportation domains. 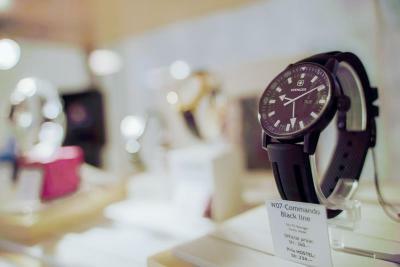 -Its was very clean and well designed . -staff were really nice and kind . 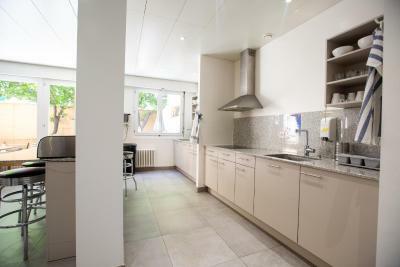 - its in the heart of Geneva , close to the Main Station carnavien . The location is good. The support from the front desk is great. Everything was great. Location is good. 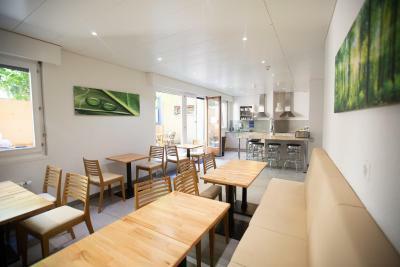 Hostel is big, with kitchen, patio, separate room with seating area. It looks like a student dormitory. The environment is very warm and friendly. Beds were clean and comfortable. Showers and toilets were clean. Staff was friendly, accommodating, and well organized. 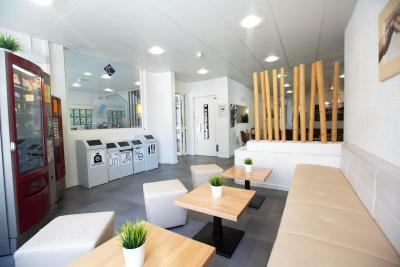 The facility was very clean, it felt very cosy. The staff was really great and it really felt like they cared a lot about making sure I had a good experience all around. The free transport card was amazing and the map they provided with suggestions on what to do was phenomenal, it helped a ton for a solo traveler like me. I liked that there was a large kitchen to be used for cooking to save money on meals. The bed was also very comfortable. Lastly, the staff were very kind and receptive to answering questions. That's about all I've got! 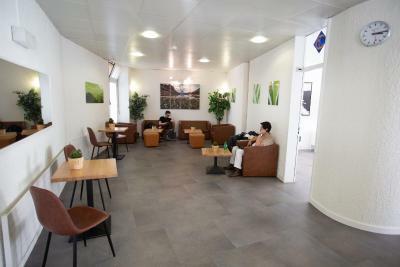 Located 2,450 feet from Lake Geneva and next to the train station, City Hostel Geneva offers free WiFi, a fully equipped common kitchen and a spacious lounge with computers. The dormitory rooms have a desk, a table, a wardrobe and shared bathroom facilities. 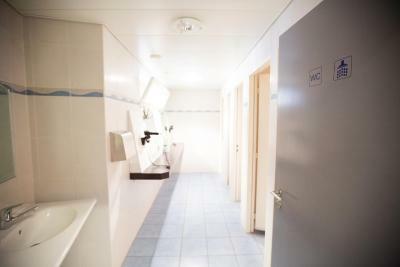 The single and double rooms also come with a washbasin. 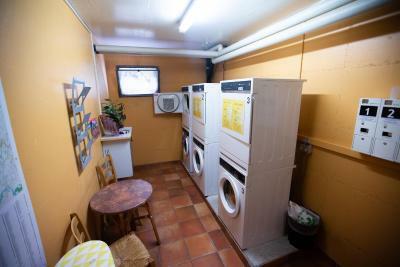 Guests can use the lockers and the laundry facilities at the hostel. Various restaurants can be found within 800 feet. 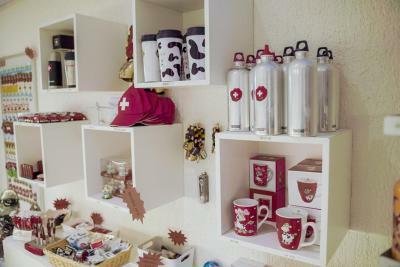 A free public transport card for Geneva is available and a discount for the Red Cross Museum and the shop on site, selling Swiss army knifes and watches, is offered. 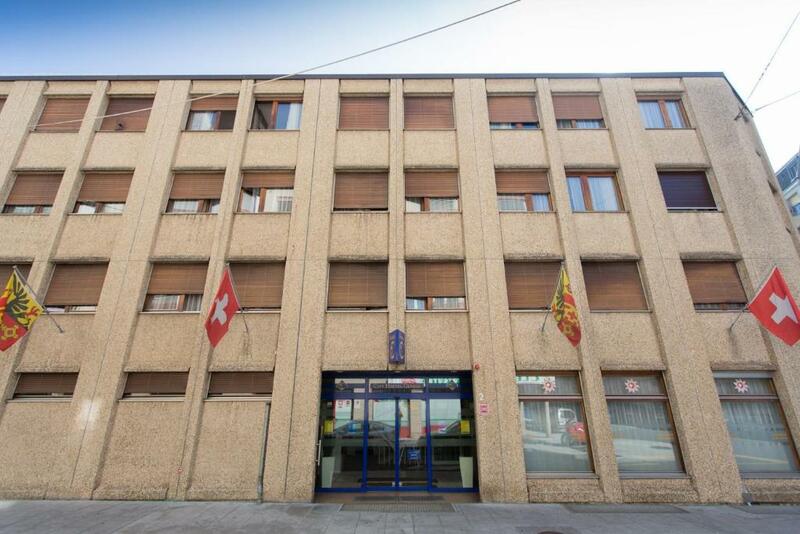 The Park du Château Banquet is 1,800 feet from City Hostel and Geneva Airport is 3.7 mi away. 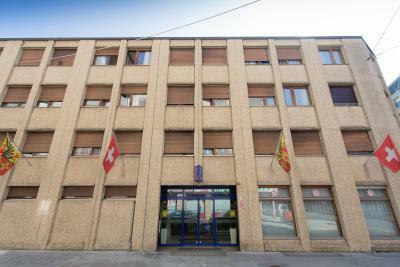 When would you like to stay at City Hostel Geneva? This room offers a desk and a wardrobe. 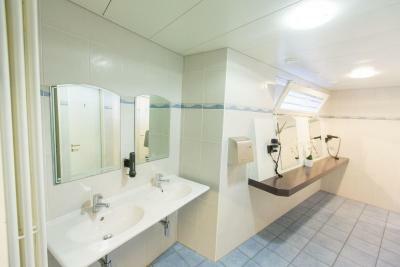 The shared bathroom facilities are located on the hall. 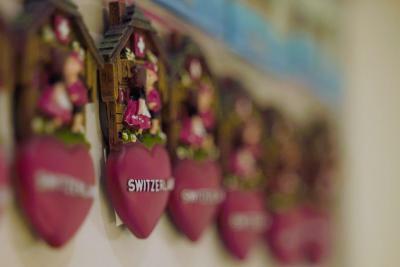 House Rules City Hostel Geneva takes special requests – add in the next step! 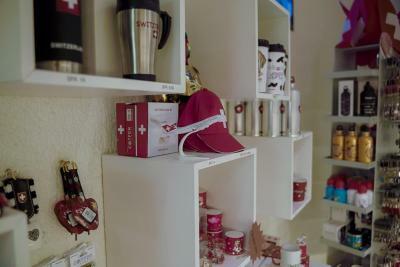 City Hostel Geneva accepts these cards and reserves the right to temporarily hold an amount prior to arrival. 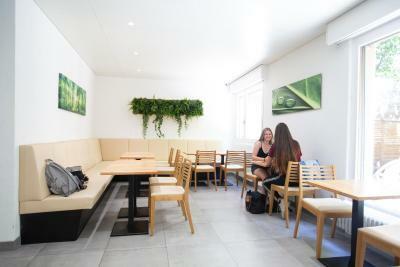 Please note, when booking for 8 guests or more, different policies and additional supplements will apply. Cozy and clean. 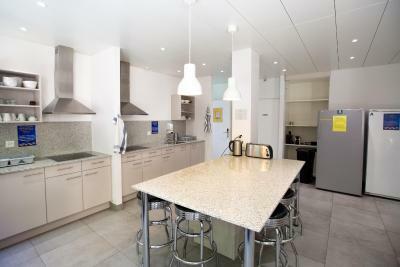 Kitchen is nice. Few minutes walk to the central station. Facilities, quality of sleep sharing with others in the room. There should be a better enforcement of quiet hours so it would be possible to sleep better. Bathrooms were okay. Too few electricity sockets supporting the demand of people to charge their phones or laptops. 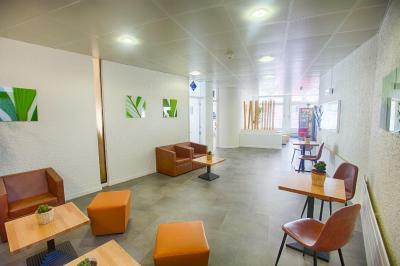 Location is very good, close to public transportation and Gare Cornavin; convenient; staff quite friendly and helpful. I spent two nights with very friendly persons. Excellent. Very good services and well organised workers. Lack of breakfast, but I didn't need one. Staff was friendly and property felt very safe. 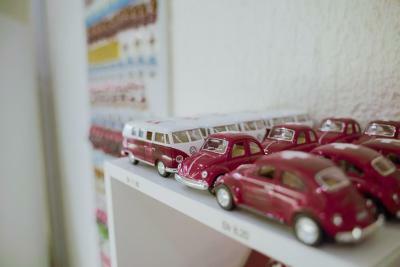 The dorms were built as hostel dorms (unlike many hostels) meaning each bed has two personal lights, USB ports and outlets for charging as well as a little shelf for item storage. Many large lockers that can be locked are available. Small sink and mirror in the room and showers and toilets in separate room. The WiFi wasn’t the best. We arrived at 11.30 to the hotel even if we knew the check in time was 13.00. However, we went to the reception and the man told us that our room was going to be ready at 12.00, so we only had to wait 30 minutes. 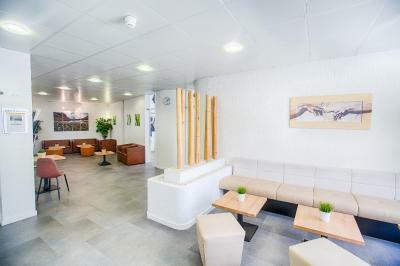 The man in the reception was very kind and helpful. 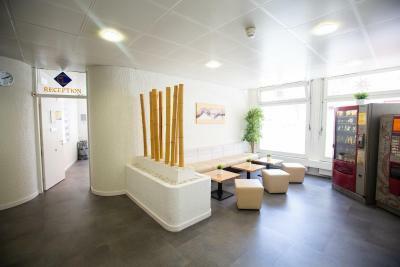 The hotel is located 10 minutes away walking from the train station. There are trains that take you to the airport in 7 minutes, and the free travel card provided by the hotel can be used for that train. It is a hostel, so it is natural that sometimes it gets a bit noisy even after 10pm.